The COBX: Masters 2019 finally kicked off earlier today. At the time of writing this (08:00 PM IST), only one out of twelve matches has concluded. Tigers took on Entity Gaming in the first match of the day, where Tigers secured a fairly straight-forward victory over Entity Gaming. 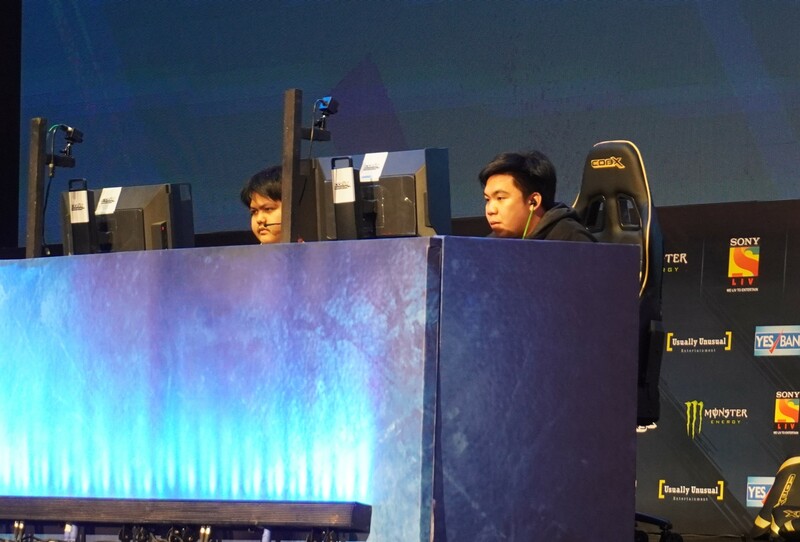 The second match of the day between Entity Gaming and Detonator, however, wasn’t as seamless after the latter broke tournament regulations with one of the players failing to wear noise-cancelling earphones for a significant duration of the on-going match. Detonator offlaner Sam_H without his noise-cancelling headphones on stage. As a result, the Dota 2 matches were put on a halt for over four hours. At the time of writing, only two Dota 2 matches have been played (one being nullified), with the rematch between Detonator and Entity Gaming currently being played out off-stage. Meanwhile the first CS:GO match between Signify and MVP.PK has begun. Production issues aside, the game seems to now be progressing with minimal hiccups. However, it looks like tonight is going to be a long night for the COBX: Masters and everyone working the event. As a result, the group stage match between the two teams will be replayed. Entity Gaming is now one game away from getting eliminated from this tournament. Four more matches in the Group Stages are all yet to be played. Author’s note: Who is to blame? An experienced player like SamH is expected to follow what is one of the most basic rules of playing on LAN. Negligence from the TO also has a major part to play as the admins should have been on standby to ensure it never happened in the first place.